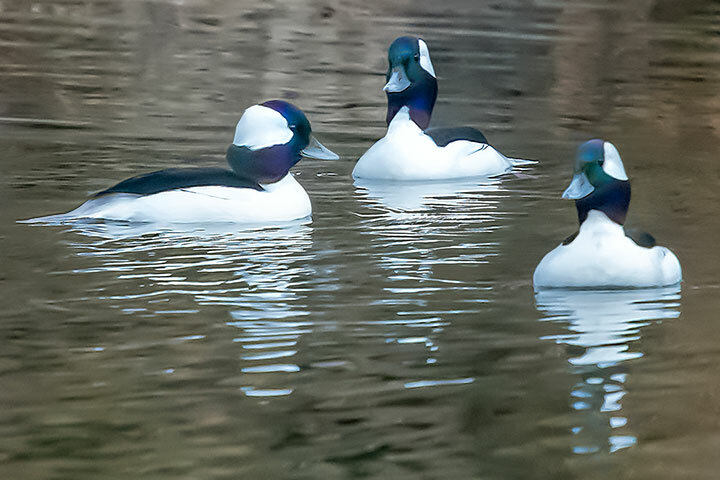 The Bufflehead Duck is a small waterbird of winter. It has been around the Lake for nearly a month now, and is likely to stay through April of next year. The striking black and white plumage of the male actually shows iridescent blues and greens. 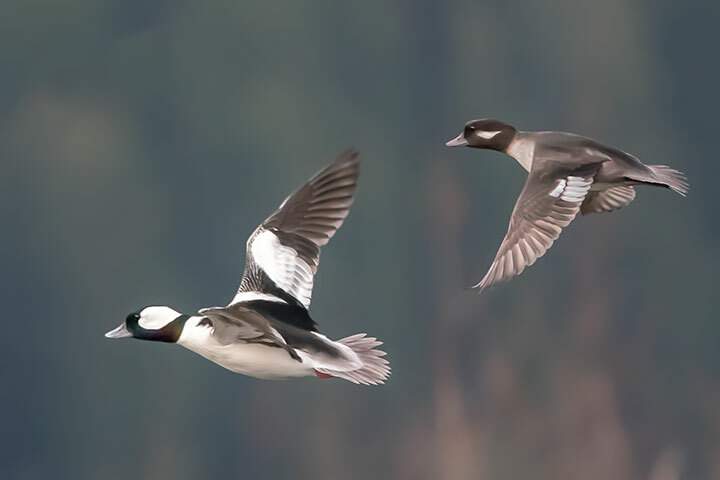 The female bufflehead (right) has a more muted plumage. Very beautiful ducks, nice photos.